Welcome to the Kent Neuropsychology Web site. 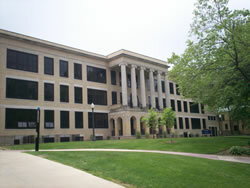 We are part of the Department of Psychological Sciences at Kent State University. The following pages provide an introduction to who we are and what we do. The field of neuropsychology examines how the brain influences the way we think, feel and behave in everyday life. Our lab does research and provides training in neuropsychology for graduate and undergraduate students. More information about these activities can be found throughout this website. Accepting 1-2 grad students for fall of 2020! The labs of Dr. Gunstad and Dr. Spitznagel will NOT be accepting graduate students for the coming cycle.